The motto is to provide IHHL to all rural household identified in Baseline survey 2012, the target date is 2nd October,2019. 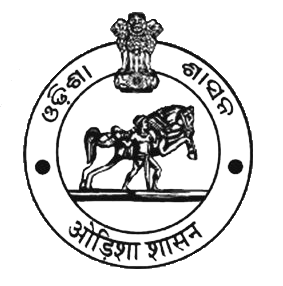 Exeucitve Engineer,RWS&S Division, Jagatsinghpur/Assistant Executive Engineer,RWS&S Sub-Division, Jagatsinghpur/Raghunathpur/Erasama/ Assistant Engineer, RWS&S Section, Biridi/Junior Engineer-I, RWSS Section, Jagatsinghpur/ Balikuda/ Naugaon/Erasama/Kujanga/Tirtol and Raghunathpur/Junior Engineer-II, Jagatsinghpur/Balikuda/ Naugaon/Erasama/Kujanga/Tirtol, Raghunathpur and Biridi. NRDWP- National Rural Drinking Water Programme (NRWDP) has come into force since 01.04.2009 with a vision “Safe Drinking Water for all, at all times in rural areas.”Over the years the RWSS Organization has been successful in providing safe source of drinking water in all rural habitations.for the management, operation and maintenance. Mostly, provision of drinking water supply to the rural population is made through hand pump tube wells and piped water supply schemes. At present there is state funding under BASUDHA programme which is the major source of funding for implementation of piped water supply schemes and hand pump tube wells under BASUDHA programme. There are 34 nos of PWS project with project cost of Rs.41.31 Crores under BASUDHA for implementation in district. Similarly there are 13 PWS projects under RIDF funding for Jagatsinghpur district amounting to Rs.19.27 Crores, out of which 12 nos of pws projects are under implementation. 8 nos Over Head Tanks of PWS Schemes are sanctioned for implementation out of which one no are ongoing. There is Mega scheme for saline affected villages of Erasama and Balikuda block. One G.P. of Naugaon block will also be covered under this Mega Scheme. The work has been awarded at a Project cost of more than 142.88 crores which will be taken up by L & T. The alienation of Govt. land for construction of Intake well & Treatment plant is under process. It will cover 123 villages if 24 Gram Panchayats in these block. Covering of Population of 174134 in the year 2048 census. For improvement in the availability of safe drinking water in rural areas of Jagatsinghpur district there are one sub-divisional water testing laboratory and one district water testing laboratory functioning with water testing equipment. The sanitation programme is under implementation by DWSM, Jagatsinghpur. The prime aim and objective of the programme is providing IHHL to improve the quality of life of rural peoples and provide them open defecation free environment. Organisational structure of DWSM at District Level.